Aha ! We are in 2019 now ! So first of all let me Wish You A Very Happy New Year. May God bless you with all success, satisfaction, peace, love and happiness during this year. Almost every one of us had a wonderful previous year with some sweetness as well as some bitter memories. Sweet memories bring a smile to your face and inspire you to repeat those moments while bitter ones are perfect learning curves as they help you to analyze what went wrong and how to improve that part of your life. Many of you might have already planned your new year resolutions and some of you must be creating plans and strategies to go ahead in your life. Yes, it’s a perfect time to ask yourself that where you want to be after this year? How do you want to look yourself after this year? What plans and strategies you’ll have to follow to reach there? 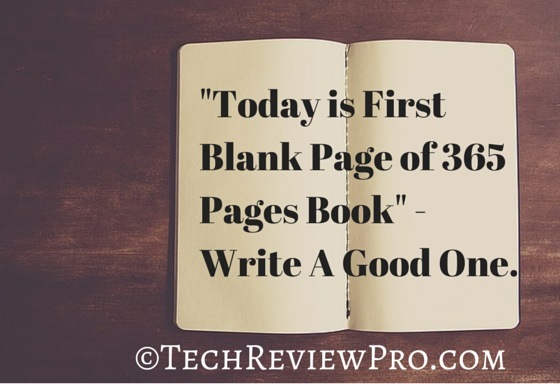 Because today you have got first blank page of a 365 pages book, so definitely you need to write a very good one. No matter what profession you are working on, productivity always matters. Being efficient is certainly the key to success. But if you want to stay ahead, you need to be more and more productive in order to get more work done in less time. Because “Being No. 1 is Easier but Staying No. 1 is Very Difficult“. But how can you be more productive? Probably, you might be asking yourself now! Being more efficient and productive is the toughest challenge today before us in a world where we have got lots of distractions. But you certainly need to sort out these distractions and find out the answer to the question – “How to be more productive ?“. Fortunately, I have got a very useful blog post entitled “22 Effective Productivity Tips and Ideas to Be More Efficient and Stay Ahead in 2019” which will help you to know how you can be more productive this year. So if you are a blogger, freelance writer, internet marketer, online geek, entrepreneur or any other professional, this eye-opening post is surely going to help you in being more productive with these productivity tips and taking your start-up business to next level. So here we go with our exclusive list of productivity tips especially for you…! Get up early in the morning, this provides you with an inner feeling of winning the first challenge of the day which is to get away from the bed. Also, usually the best of blog post ideas come to your mind when your mind is fresh and energetic as it remains in the morning. Know your distractions. Usually, people have lots of distraction. Try to limit them. Lesser the distractions more will be concentration and hence more will be the productivity. Don’t check emails in the morning, such activities may take your long hours which otherwise could have been utilized in doing important works. Check them when you are done with your blogging work. Assign a proper time schedule and number of emails to be checked each day. Go to social media only when you are ready for promotion. Going to Facebook or other social networks and just going through the news feeds, notifications etc. will take you nowhere. You’ll end up wasting your productive time in poking your nose in others business. Don’t keep checking your traffic stats, AdSense and other earning stats, comments etc. data every now and then. Just say your mind that nothing is going to change, it’ll remain as it is. However checking once a week or even once a day is a much better idea. Use time management software and tools for tracking the time spent online, analyze and quickly avoid those online activities which are making you less productive. Whether you work online or offline, proper time management is always very crucial. Plan your working and projects a day ahead. Make use of to-do list and set priorities. Complete those with higher priorities first, then a lesser one and so on. Procrastination will take you nowhere. Learn to say “NO“. Believe it or not, you can increase your productivity by up to 260 % just by saying no. There is no need to be available for everyone like a public toilet. 😉 Know the importance of your time and based on that say no to others. Keep yourself reserved for your own work first then think about anything else. Stop multi-tasking. Doing more than one work at a time creates a situation where you are less concentrated to each of those works and hence a particular work gets lesser attention than what it deserved. Hire, outsource or get a team together. Sometimes the projects are quite larger than you think. So instead of putting a mediocre effort for the project, hire or outsource talents that can do all these quickly and efficiently. A smarter idea would be to get a team together and approach to the project with the entire team’s energy. Learn from others. Everyone has got something to teach you. All of us commit mistakes, some people learn from those mistakes. But smarter one is those who learn from others mistakes. It’s a good practice to note down what you have to focus and almost everyone notes it down but very few notes down what they don’t have to focus. Make a list of habits you have to leave and activities you have to stop. And not only make the list but strictly stop those activities. As you know, we are habitual of providing you the pro review, So here comes best of productivity tips for you. . . . ! Let me say you a truth now. You are first “You” then blogger, internet marketer, entrepreneur, online geek, businessman or any other professional. So first be “YOU“! Explore yourself, train yourself, entertain yourself, love yourself, motivate yourself, appreciate & admire yourself. Here is how you can be more productive being yourself? Sleep enough and get up early in the morning. Maintain a proper work schedule. Time management is crucial hence manage your time such a way that there may be a proper balance between your online and offline world say personal and professional life. You can never learn everything but there is always something new to learn. So learn more, more and more. . . . ! Remove distractions. Throw bad habits out of your life. Adopt good habits. Surround yourself with positive people. Kick-out negative thoughts. Always say yourself, “Yes, I Can !”. Be kind to others and forgive them quickly. Never complain about anything. Be happy and try to make others happy. Cry on your failures, learn from mistakes, get positives, work hard and try your best to succeed. Celebrate your success, no matter how big or how small the achievement is. 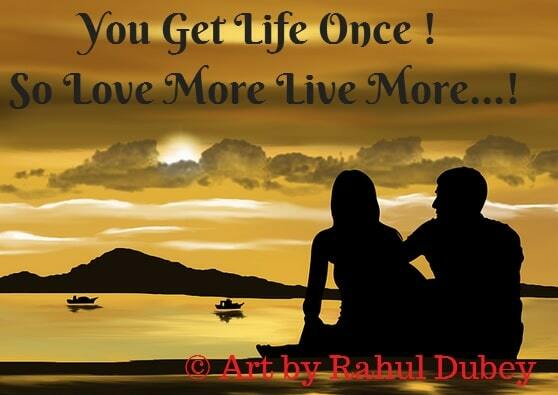 And finally, you get the life once, so love more live more. Hope you enjoyed these 22 effective productivity tips & ideas. 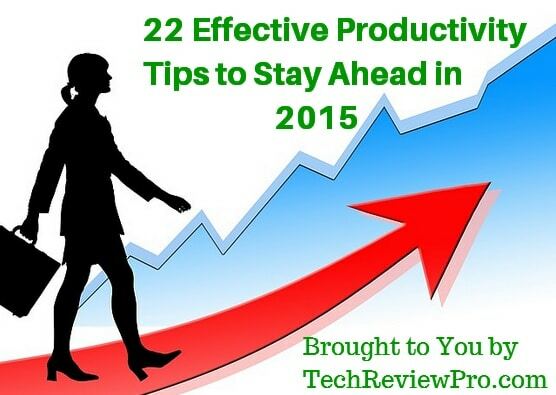 And these productivity tips will help you to stay more productive during this new year. Enjoyed reading this ? Consider sharing with your friends on Facebook, Twitter and Google+. Did I miss any best of productivity tips? Add to this story using the comment box below. After sharing my best of productivity tips with you, Signing off today….! 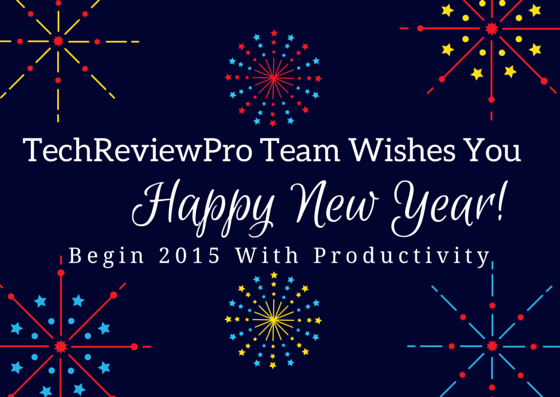 Wishing you a very happy and productive new year again. Let’s join the new year celebration! Great article and thanks for sharing. I am doing something extra this year; focusing a lot more on planning and deep planning. So yes! Let make this year a great one for all of us! Wow ! What a surprise to see you here 🙂 By the way first of all, let me welcome you to TechReviewPro.com ! I’m very glad that you liked the article and I wish you all the success in your adventure this year. I hope you may come up with a very effective plan and not just a plan but also get success in execution of those plans. By the way do you have any productivity tips for me ?? Hey thanks for sharing it..
Its really effective..i’ll get up morning first.. Welcome to TechReviewPro. It’s really amazing feeling to see you here. Now I think my all efforts in bringing these productivity tips remained successful. By the way, what about other productive tips listed here ? Are you already having those good habits ?? Just great tips you have shared through this article. Almost every mistakes i have made in my Life that you described here. All points are important and i suggest every one to follow each point. Thanks for sharing man ! Keep posting such articles. Thanks for taking time to drop your kind feedback.